1. How did you you get involved in the Fitness industry and what role do you play in Planet Fitness? 2. Do you think that the recession had a big impact on the fitness industry market? Yes definitely, cancellations and bad debt has definitely increased since the start of the recession, lots of people just don’t have the disposable income they used to have. 3. How many planet fitness health clubs are open at the moment and what makes Planet Fitness different from the rest? 24 Nationwide, our clubs offer unique services over and above the normal facilities available at other gym groups, some of these include indoor running tracks, Pilates studios, female only training areas, 24 hour availability in selected clubs just to name a few. We are also proudly South African. 4. Do you have a personal trainer and why would you recommend having one? I use different personal trainers, for boxing, Pilates, and my standard floor work. It helps to keep me motivated and also allows to keep my program vibrant and exciting. We also do a lot more functional exercise nowadays in addition to the standard equipment on the floor working with my own bodyweight. 5. What is your vision for Planet Fitness in the future? We are looking to grow to 40 clubs over the next 5 years, also looking to introduce new cutting edge programs and services for our members. Our member take on and induction processes are also taking a big priority, the first 3 months of a new members journey is paramount to us. 6. What is your top 5 fitness tips? – Warm up well before training. – Get into a routine , plan your workouts and stick to your schedule. 7. News at Planet Fitness / What is new? – Planet Fitness is also very excited to be the first to launch Group Personal Training. For as little as R249 per month you could benefit from having unlimited Personal training sessions in a Group environment. Our dedicated studios are now accompanied by hand-selected master trainers. Get unlimited access to specialised personal training sessions in a group environment. Some of the innovative disciplines that are incorporated in our new programme are: Kettlebell, Medicine Ball Training and TRX Suspension Training. New disciplines will constantly be added with our next big launch being Box Training. Every member will receive one free Group Personal Training session. Remember that booking is essential and that classes are in a group environment with 10 to 15 participants per class. Peak time slots will be available both mornings and evenings for your convenience. 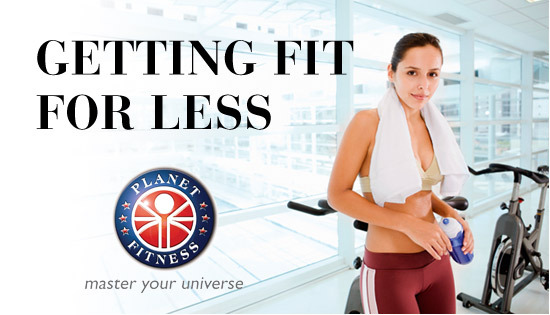 – Planet Fitness is a world class operator of main stream fitness clubs, after years of research we have perfected a way of offering a gym solution at the lowest prices in the market. – As the most innovative gym group in South Africa, Planet Fitness Value Fit offers members a modern high tech facility at a very affordable price. – We have stripped our gyms of all unnecessary feature and services so we can offer you the cheapest gym membership in South Africa. – With the latest in cardio training, weight training, circuits and machines, we cater for men and women of all ages and training levels. 8. What criteria do you decide on before sponsoring Athletes, which big names are involved with the brand? – Planet Fitness will look for mutual beneficial relationships. Usually where Planet Fitness will get exposure in return. We don’t do monetary sponsorships and usually offer memberships to our facilities in return for exposure. We recently sponsored the Highveld Lions Cricket team. They train as a squad in our clubs, in return we get a box at the Wanderers stadium, electronic billboard, access to their social media platforms and website. 9. Which Planet Fitness is the top club and what makes it special? Planet Fitness Platinum is a unique fitness sports-spa luxury experience fusing together world-class high-tech facilities with the best practices and offerings from the world’s most sought-after health clubs. We believe the greatest investment an individual can make is in one’s well-being because in the results-driven world of today, your time away from your office is precious. We offer a refuge far from the busy crowds and yet within touching-distance of your busy world. Quieten your mind, heal your soul, restore your life force and get more out of life in a place where every moment is about you. – Situated in the heart of Sandton, above Rolls Royce at the magnificent Laico Isle. Take in the city skyline as you enhance your wellness, our Manhattan-style views are exquisite by day and breathtaking by night. This breathtaking environment is complemented by the finest Italian designed fitness equipment surrounded by a 250m sky blue, all weather indoor running track. – Prepare for your training session in our five-star change rooms with Jacuzzi, sensation showers, towel service, complimentary clothes pressing services and coded lockers. With the help of light therapy and underwater music, you can soak away your stress as you glide through the revitalising waters of our 25m heated indoor pool, or slip out between meetings to join a high energy spinning class. – Revitalise your body in our climate controlled yoga studio, stimulating every inch of your body and restoring all your systems to optimum health. Keep in perfect health on our imported Italian cardio equipment together with our exclusive headphones service, giving you the freedom to select and control what you are listening to. – Another South African first is Group Personal Training sessions where you can get unlimited specialised personal training in a group environment across a range of innovative disciplines including Kettlebell, Medicine Ball, TRX Suspension and Box training. 10. How do you stay on top of the latest trends in the market and how important is it? We have a National Product Manager who researches International trends in the market, and is an internationally recognised Master Trainer. It takes lots of research, training, workshops and travel (not to mention exams!!) to stay on top of what is happening in the industry. The human body stops responding very quickly to the same exercise routine, so needs to be constantly stimulated in various ways. We also tend to get bored of the same old program, and training becomes none-stimulating. Introducing new trends into the market, allows our bodies to respond quicker, get us motivated to train again and keep us from getting bored!